Charcoal vs. gas - which type of grill is best? There's nothing like the age-old debate between gas and charcoal grills. While there are benefits to both of them, people who are new to barbecuing often find themselves confused by the options available to them. Designer Appliances has freestanding and built-in grills to suit all chefs' needs, but it's up to consumers to make a purchase to best suit their needs. That being said, it's worth examining the pros and cons of both before making a decision. 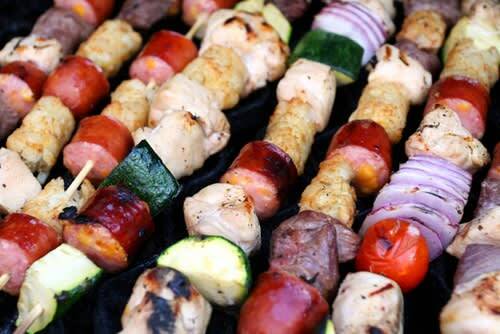 Grills that operate on gas can be simply utilized by turning a knob, according to All Recipes. There's no need to mess with large piles of charcoal to get a flame going and prepare a meal. On a similar note, there's also less clean-up when it comes to utilizing a gas grill. They operate on propane, and users can easily purchase a tank to help them get on their way to a barbecued dish. On average, tanks can typically run for about 20 hours, according to Barbecue University. However, it's worth noting that the biggest criticism of gas grills is that they don't add as much flavor to food as charcoal does. Lynx Sedona models can create 69,000 BTU, making cooking a breeze for people who aren't concerned with the taste that charcoal may or may not actually bring to their meals. They're also composed of stainless steel for extended use and durability. Grills that require charcoal to operate are sometimes considered the only way to go by people who've been barbecuing for years. Some people argue that there's a distinct flavor that charcoal brings to food, which can't be replicated by gas grills. However, it's worth noting that charcoal grills typically require more attention during the cooking process – the flames can be unpredictable. The fire also needs to be built up and maintained over time. This eliminates the convenience that gas grills provide, which primarily operate at the press of a button. If you're interested in going this route, there are Weber models available that can give you everything you need to barbecue a delicious meal. Most Weber grills are also designed to resist rust, meaning that aside from cleaning the product after use, there's little maintenance to be done. Whichever option you choose, you're bound to be happy with the models offered by Designer Appliances.